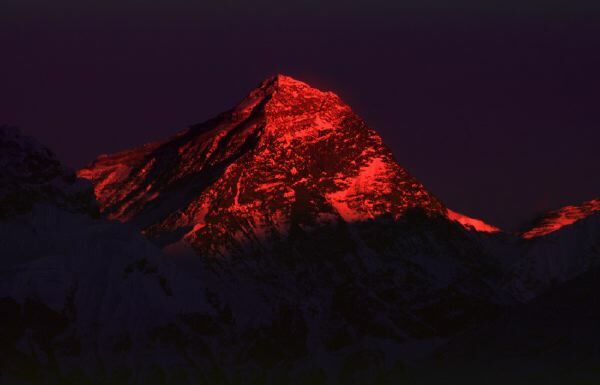 Mount Everest seen from the upper Gokyo Valley at sunset. 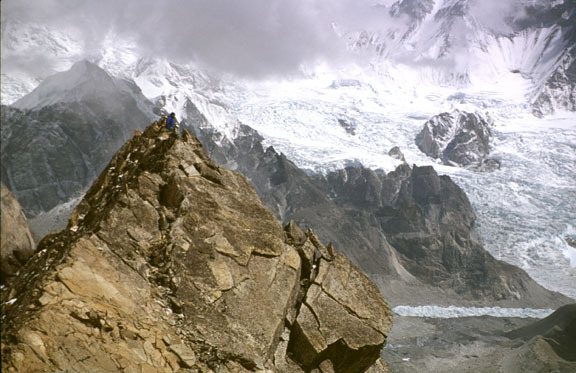 The South East Ridge is seen as the right skyline ridge, the first hump to the right of the summit is the South Summit. The South Col is the lowest point on the right that is still in alpenglow. 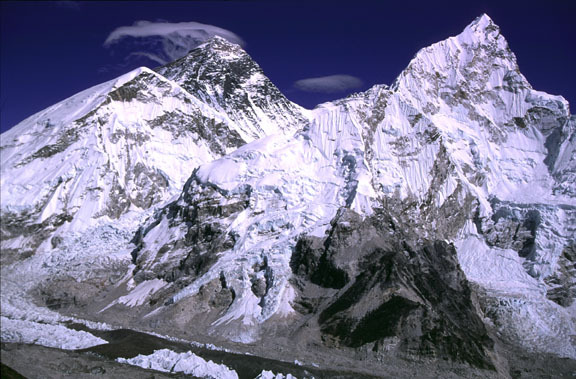 Mount Everest (the black pyramid on the left) and its neighbors Lhotse (barely visible to the right of the smaller lenticular cloud) and Nuptse (on the right). 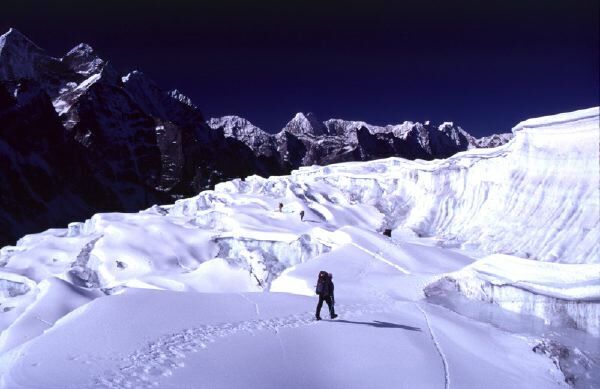 The Khumbu ice fall is seen descending between Everest and Nuptse and sweeping around through the foreground. Everest (on the far left) can now clearly be seen to be the tallest... The HRA clinic in Pheriche is just on the other side of the two white mountains seen in the midline of the image. 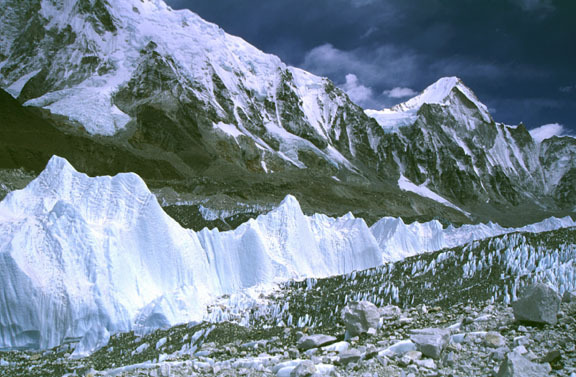 Giant ice fins are squeezed up out of the Khumbu glacier like toothpaste as it is forced around a large bend in the valley as it descends from Mt. Everest. 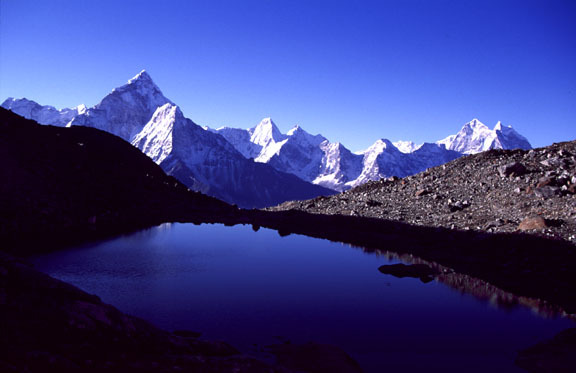 A unique view of my favorite mountain, Ama Dablam, early in the morning from a very high lake. 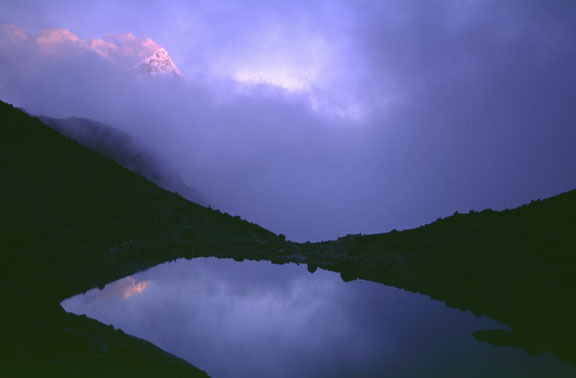 Ama Dablam with alpenglow, again seen from a very high lake, evening valley clouds swirling in. 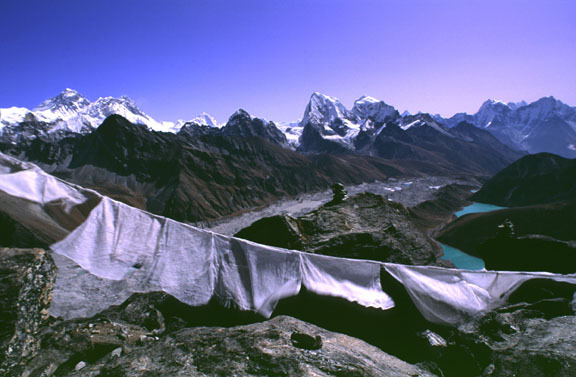 Winding up the ramps of the Mingbo-La glacier, just East of Ama Dablam. 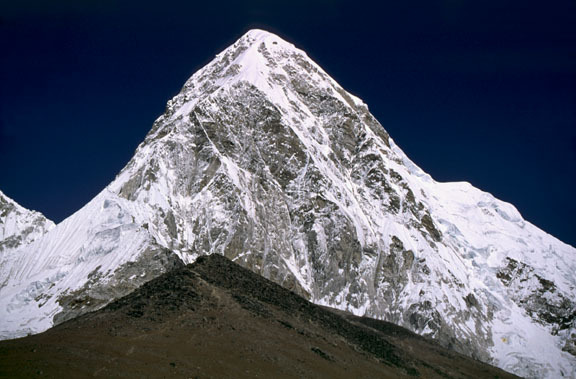 Beautiful Pumori, a neighbor to Everest, towers over Kala Patar (the rocky ridge in the foreground), a popular trekker's goal. Vanessa McKiel looks out over an awe-inspiring, human-dwarfing landscape of glaciers coming off Cho Oyu. 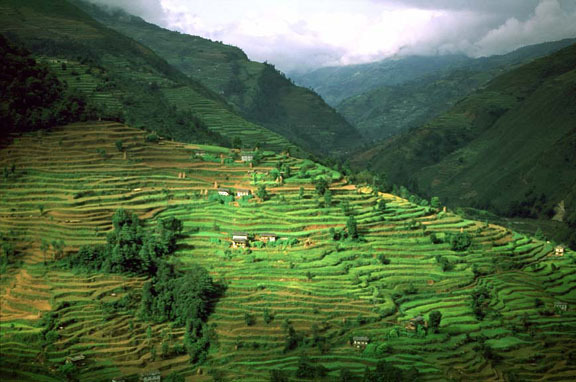 Narrow terraced fields are carved thousands of feet up the hills, and are used to grow rice and barley. An 8-hour ultra wide angle exposure, looking north at the Annapurna range. 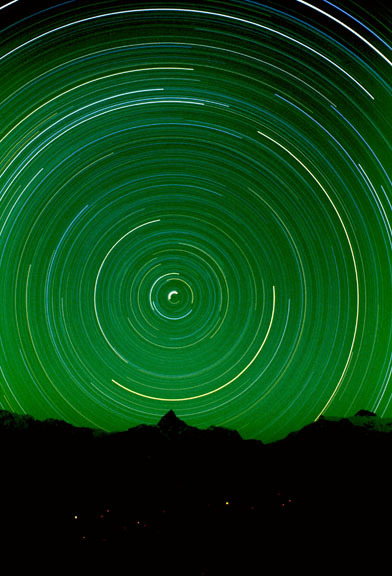 Polaris is centered over Machhapuchare, the sacred mountain.